Injured workers need to make sure they are documenting everything with their vocational counselors, this will be helpful when it comes time to present this in an hearing. 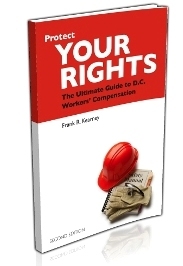 Why Do I Need a Workers’ Comp Lawyer? Because workers’ comp claims are complex and it’s probably your first one, learn just how critical it is to have a workers’ comp lawyer on your side. Injured workers who cannot return to their regular jobs but can work with restrictions, also called "light duty", can receive vocational rehabilitation. While this may sound great in theory, in practice it's not (like many things with the insurance company). Typically the insurance company will assign a vocational counselor to work with the injured worker-- and just like doctors, lawyers, carpenters and bus drivers, there are good ones and bad ones. The goal of vocational rehabilitation is to return the injured worker to as close to his or her pre-injury earnings as possible. Some counselors are simply trying to document the injured work's failure to cooperate with vocational rehabilitation so the insurance company can suspend paying benefits. Others will genuinely try to assist the injured worker getting back to work. But keep in mind, they all work for the insurance company and there will probably come a time when the insurance company is tired of paying for these services. That can pressure a vocational counselor to say a person is not cooperating with their services. If you are working with a vocational counselor, make sure you document all of your job search efforts and keep notes of your meetings and conversations with the counselor (you can be sure the counselor is documenting everything you do and sending the reports to the insurance company). Keep records of telephone calls you have made, computer searches, jobs applied for, meetings, etc. And keep your records-- you may need them at a hearing some day if the insurance company claims you did not cooperate with the vocational counselor. And in some Virginia cases, if you're released to work light duty, you need to look for work within your restrictions (this is called marketing your residual capacity) in order to keep your benefits going, even if the insurance company doesn't hire a vocational counselor. You'll need to prove our job search in a hearing and there are guidelines as to what constitutes marketing your residual capacity. This trips people up a lot of careful--it's just another example of the law being different in different states.